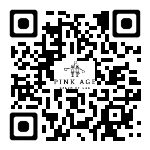 [PINKAGE] (hereinafter referred to as “Company”) very seriously takes into consideration protection of customers’ personal information, and complies with the Act Relating to Promotion of Information Communications Network and Personal Information Protection. The Company hereby notifies customers for what uses and in what ways we use the personal information provided by customers and what measures we take to protect the personal information. When the personal information treatment policies are amended, the Company will notify customers thereof through the website notifications (or individual notifications). The current personal information treatment policies shall be applicable from [2014.0407]. When there is an addition, deletion, or amendment of the content, it shall be publicly announced through notifications of the homepage from at least seven (7) days before the amendment. Also the Company has made it easy to check amendments by giving the version numbers and the date of amendment to the personal information treatment policies. These policies shall be implemented from [2014.0407].